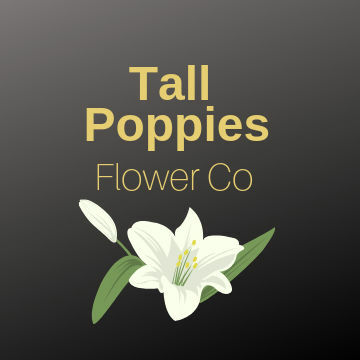 As independent owner operators, Tall Poppies Flower Co offer a highly personalised service with consistently high standards of quality at very competitive prices. Our focus on creativity ensuring your purchase is both distinctive and personal. In addition to flowers, Tall Poppies Flower Co provide a wide range of gift baskets soft toys, balloons, wines and chocolates for that special occasion with same day delivery to all Melbourne Metro suburbs for all orders received before 12 noon on the day. So for that special occasion be it a bridal bouquet, flowers to say thankyou, flowers in sympathy , for your loved one or just to spoil yourself you can be assured of the highest quality and freshest flower arrangements from Tall Poppies Flower Co. As a member of Interflora we can deliver to all Australian States , Please allow 24 hours for delivery and up to 48 hours for overseas deliveries.